Point guard Isaiah Thomas—formerly of the Lakers, Cavaliers, and Celtics all within the past 12 months—has found a new home in Denver. Adrian Wojnarowski is reporting that Thomas has signed with the Nuggets for the veteran’s minimum. Has a rising star ever fallen this hard, this fast? It was only in 2017 that Thomas was putting on superb, emotional performances in the Celtics’ run to the conference finals, before he was sidelined at the end due to a hip injury. That following summer, he boasted that the Celtics had to “bring the Brinks truck out” to resign him, and then served as the key player in Boston’s trade package for Kyrie Irving. His career has been an unmitigated disaster since. He looked like a completely different player on the Cavs than the one that carried the Celtics, and his season ended early again because of hip surgery following his trade to the Lakers. This Nuggets contract is a pretty low-stakes way for the 29-year-old Thomas to try and come back. But if it doesn’t go well, there might not be anywhere else for him to go. 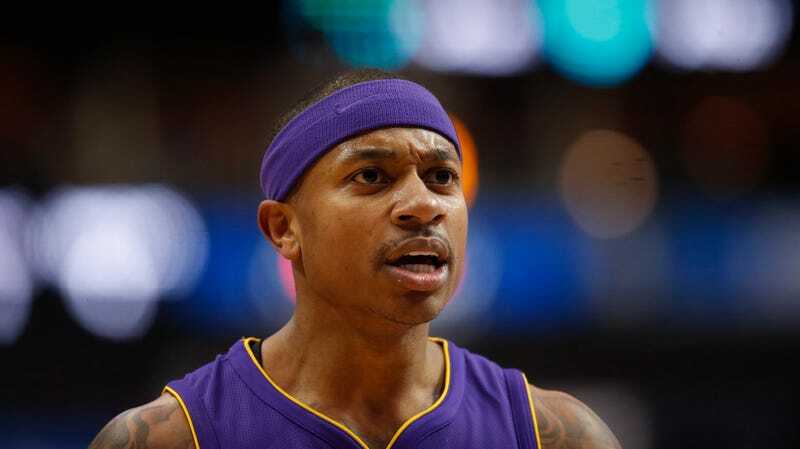 Isaiah Thomas Can&apos;t Really Be This Bad, Can He?